Announcement Handmade Bridal Accessories, Lace and Crystal Birdcage Veils and Unique Bridal Veils, Custom Bridal Accessories and bird cage veils, Garters with Custom Initials, Silk Flower Wedding Sashes and Bridal Belts, Handmade Fascinators and Lace Bridal Headbands. 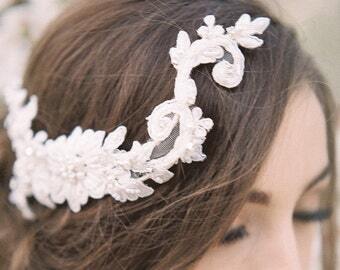 Thank you for taking an interest in my hand made bridal accessories. Please read my Shop Policies to answer any basic questions, and feel free to contact me with any questions or requests at any time! 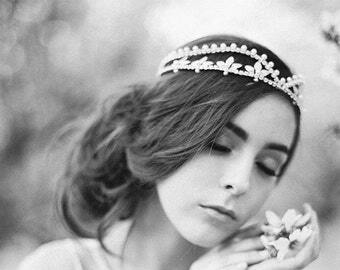 Handmade Bridal Accessories, Lace and Crystal Birdcage Veils and Unique Bridal Veils, Custom Bridal Accessories and bird cage veils, Garters with Custom Initials, Silk Flower Wedding Sashes and Bridal Belts, Handmade Fascinators and Lace Bridal Headbands. I can't say enough how wonderful this seller's customer service is. I received a headpiece that didn't match my dress. It was no fault of anyone's just different colors in fabric. They allowed me to send it back and then they worked tirelessly with me to find something that would work with my dress. She was so nice and always kept me updated. She genuinely cared about making my big day special. Perfect! 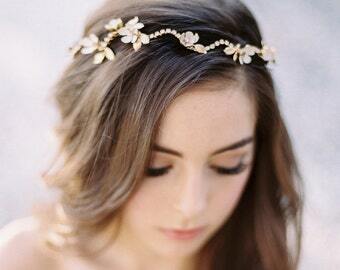 So elegant and dainty, a lovely statement piece that will accent my dress! Wonderful communication with the seller, who created a pearl belt in lieu of the crystal look. Thank you! This is high quality and looks really beautiful. I bought the gold one and it doesn't look cheap. January’s bridal pieces express a balance between the traditions of bridal design and modern, innovative style. 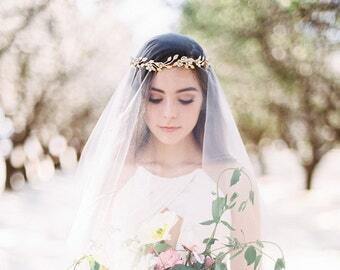 January and her team construct each bridal accessory with care, with meticulous craftsmanship and materials of exceptional quality, so that they can be cherished as keepsakes for years to come, and passed down through generations. Much of her inspiration comes from the lines and forms of Art Nouveau, which provide a foundation for creating pieces that are elegant, sophisticated and sculptural in their construction, but that also have a free form, delicate, and sensual nature. Each piece is built to last using traditional millinery techniques, and she draws on her experience as a jewelry maker to craft every feature of wire, crystal, silk, and pearl with intricate detail. Many many thanks go to Desi Baytan Photography for creating such amazing images, Oak & the Owl for gorgeous styling and floral design, and Love and Lace bridal for loaning January Rose Bridal her gorgeous gowns by Leanne Marshall! Welcome to our shop! Please read our Shop Policies to answer any basic questions, and feel free to contact us with any questions or requests at any time! There is a 5 DAY RETURN POLICY (5 days from the date delivered to you) for all items available on our website, and the bridal piece must be unused and unworn. It is the customer's responsibility to pay for the shipping for items returned within the 5 day time period. Once we receive the item back we will provide a refund. Please make sure that the item is in as good condition as you received it in. Thank you! Because custom made pieces are designed and created specifically for you, there are NO RETURNS ON THESE ITEMS. **** Please understand that we will be in conversation and January Storrs will send you images of ideas and materials before she does the majority of the work on your custom made piece. Once it is finished, she will send a final image to make sure that you love your bridal piece! 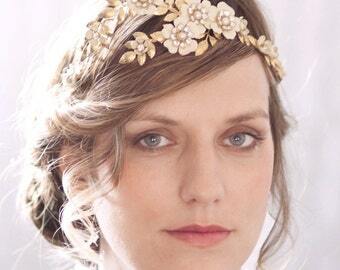 We want you to feel comfortable and confident about your special bridal accessory! This no-return policy on custom made items is necessary because it takes a lot of time and work to make these pieces. 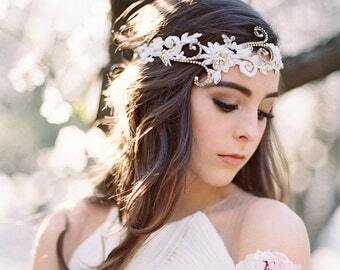 Please be sure that you are happy with our communications about your bridal accessory before you commit to it. We definitely want you to be happy with your purchase! We accept Paypal and credit card payments, as well as Etsy gift certificates. Once we receive your payment we will make and ship your items within 1-3 weeks, depending on the number of orders that we have at that time. CUSTOM ORDERS may require more time. RUSH ORDERS: You can place a rush-order for $15. This will guarantee that your piece will be made and shipped out within 1 week of purchase. You can purchase a Rush-Order from the "Rush-Order" listing in our shop, or you can choose the Rush-Order option at checkout which will include the $15 for a one week processing time plus the cost of Priority shipping (1-3 business days). If you are concerned about timing, please contact us with questions or requests and we will do what we can to meet your needs! DOMESTIC shipments are shipped either through USPS First-Class mail (3-5 business days) or USPS Priority mail (1-3 business days) depending on the weight of your item. You will be able to choose to upgrade your shipping at checkout. You can also choose to place a rush order at checkout. This guarantees a 1 week processing time (can be shorter if you contact us) plus Priority shipping (1-3 business days). If you are concerned about timing, please contact us with questions or requests. INTERNATIONAL shipments are mailed USPS International First-Class mail, which is 10-14 business days unless customs holds it for a longer period, which is out of our control, but rare. You can choose from our shipping upgrades at checkout (please see prices at checkout). You can also choose to place a rush order at checkout, which guarantees a 1 week processing time (can be shorter if you contact us) plus priority shipping (6-10 business days). If you are concerned about timing, please contact us with questions or requests. RUSH-ORDER - Please choose the rush order option at checkout. This will guarantee a 1 week processing time plus Priority shipping (please see Domestic and International shipping explanations above). Please contact us if you have special timing needs. We package every item individually in a special gift box for safe keeping and easy travel on your wedding day. Please contact us if you have any questions or requests, thank you! 7 or more items, you receive a 20% discount! January Storrs makes all custom pieces. She will make a couple of minor changes to pieces that are in our shop at no extra charge, but because custom orders take a lot of time to make, a lot of image and email communication, and also time to seek out materials (in some cases), there may be a custom order fee. Custom orders fees generally start at $20. If you have any questions about this, please contact us at any time and we can discuss your particular custom requests. 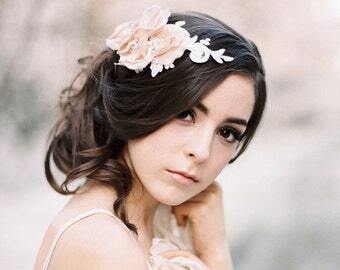 Please contact january [!at] januaryrosebridal.com with Wholesale in the subject line. 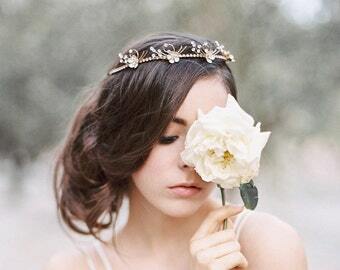 -Please note that due to the handmade nature of these bridal pieces, there may be small differences in materials, depending on availability of rare materials. If you have any concerns about an item that you have purchased, please contact us so that we have the opportunity to understand the problem and talk with you about it. Thank you! !